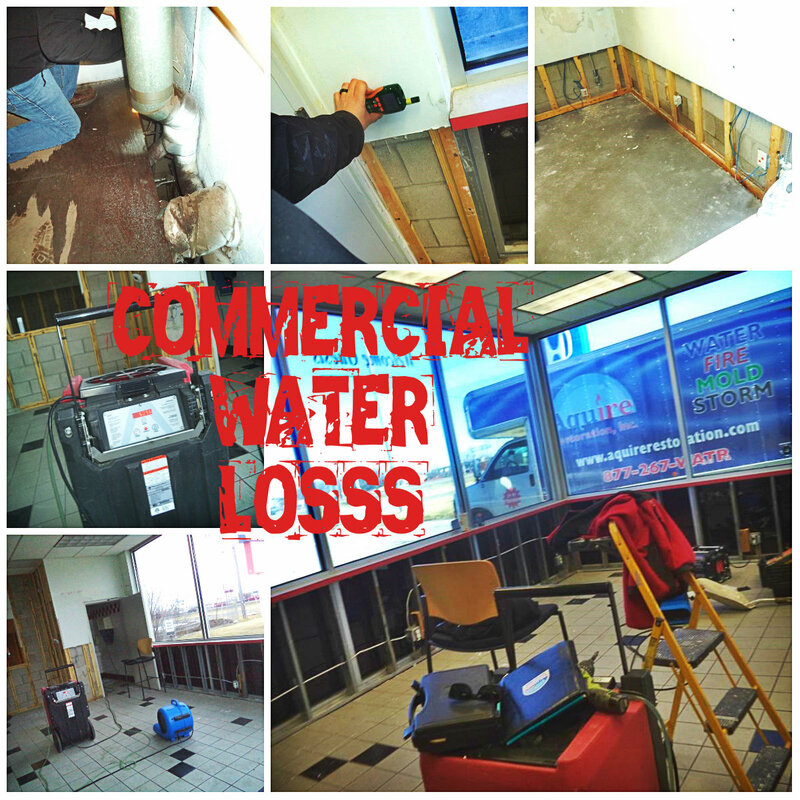 water restoration | Aquire Restoration, Inc.
Water Restoration: Frozen Pipes, BURST! We just wrapped up on a project that started in November. Frozen pipes had burst in the second story level which caused extensive water damage in this rental property. The family had left for the weekend, and unfortunately turned their furnace off. Upon their return the water had seeped from the 2nd level bathroom, down into the kitchen and leaving traces of water in the basement as well. Initially we removed water from the premise, dried the structure, removed wet building materials. Then started the rebuild. We were able to save the baseboards in the upstairs bathroom but needed to replace the vinyl flooring. In the kitchen we initially pulled the cabinets off the wall, ripped out the drywall and insulation and replaced it. We also replaced the kitchen ceiling made it a drop ceiling and installed faux-tin ceilings! Getting our Professional Equipment In! FINISHED PRODUCT! Beautiful New Kitchen Ceiling! View of the Corner that was the Worst and Now Redone!